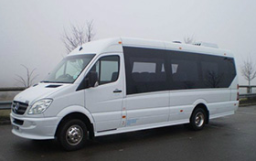 Winns Travel is a family-run business, based in central Sheffield, specialising in corporate and executive travel, aiming to provide a professional yet personal service. Whether you're simply travelling to the shops, or need an airport transfer to catch an important flight, you can count on us. Winns Travel cater for parties of 4 - 64 passengers for all types of travel, including: airport transfers, executive travel, nights out, weddings, school contracts and corporate hospitality. 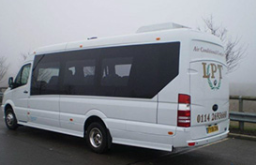 Our coaches and minibus are spacious and comfortable. All Winns Travel personnel have been CRB police checked. Every vehicle in our fleet is maintained to VOSA standards, has full, regular safety checks, is fully insured and the company has full Public Liability insurance. 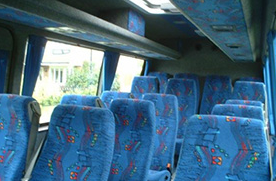 Coaches and minibuses are fitted with DVD entertainment systems. At Winns Travel of Sheffield, we are renowned for offering punctuality, reliability and cleanliness at affordable prices.